Aurora's Utah Park serves as regional flood control and detention. It is designed to be submerged during times of flood but emerges as an incredible park with offerings of baseball and softaball fields, basketball, nature play, wetlands, picnic shelters, playground and sand play, with looped walking paths and trails. 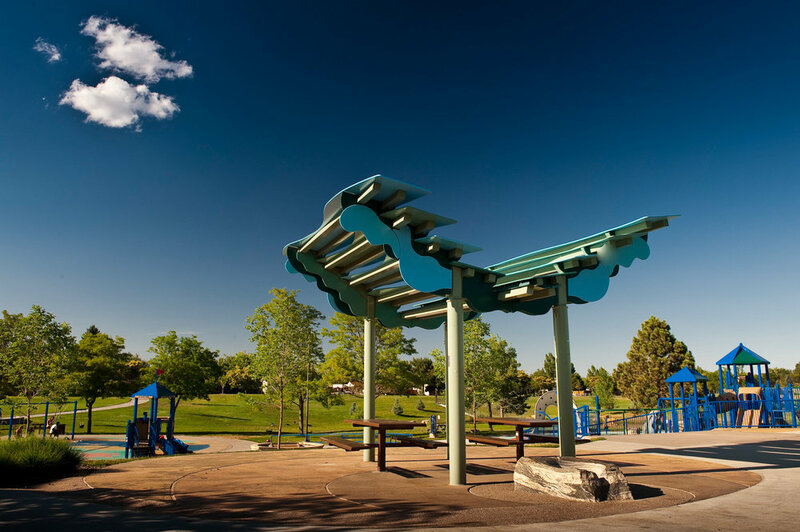 Located at the confluence of Westerly Creek and Jewel Tributary, Utah Park is a popular community park for Aurora and a flood-control facility. The $5.8 million park had been a stormwater detention basin with a muddy lake at the bottom and creeks which channeled underground in pipes. Low-lying areas, including a ballfield, regularly flooded when it rained. We developed a master plan and construction documents that hide the site’s function, transforming it into an attractive park and better functioning detention basin. The park now has beautifully contoured topography, naturalized streambeds, two new ponds, and active recreation features. The 47-acre site has two natural creeks that flow into the park. . 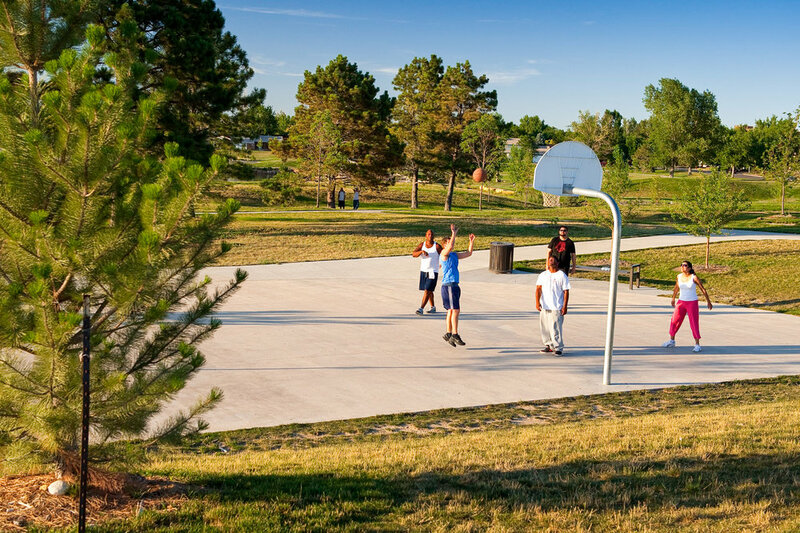 This is the story behind Utah Park in Aurora Colorado. It's a park that serves as a regional flood control and detention facility for Denver's Urban Drainage and Flood Control District. The park is designed to capture drainage from several major drainage areas. 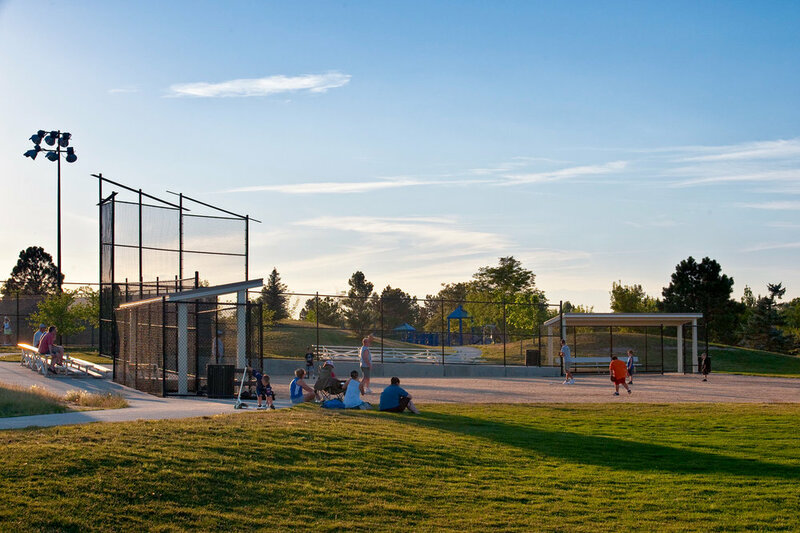 While not flooded, the park offers multiple fields for baseball, softball, and multi-use activities. The picnic shelter is reservable for parties and events. 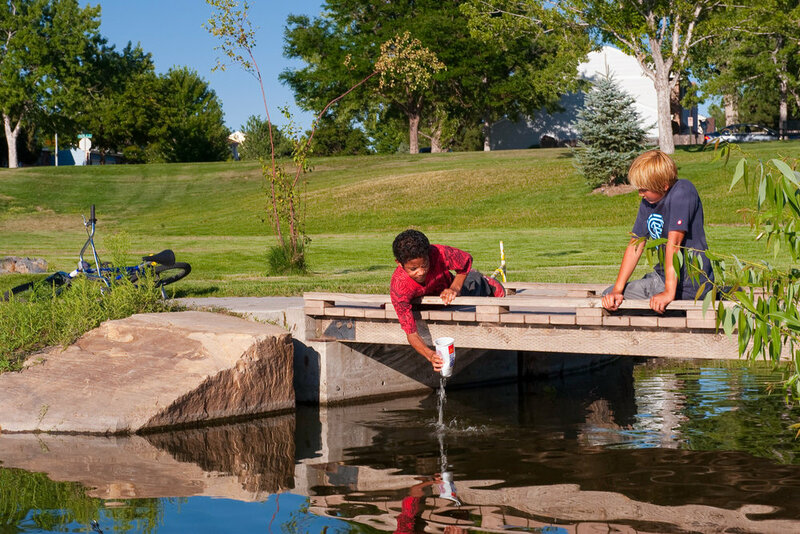 The playground offers activities and multi-generational and nature play opportunities.